I’m not a traditional wreath kinda gal. I prefer my Valentine’s Day wreaths covered with kitsch. Winter wreaths involve creating snowmen that look like they are ready for summer music festivals. Cupcake liners look great on cupcakes, but even better on New Year’s Wreaths. 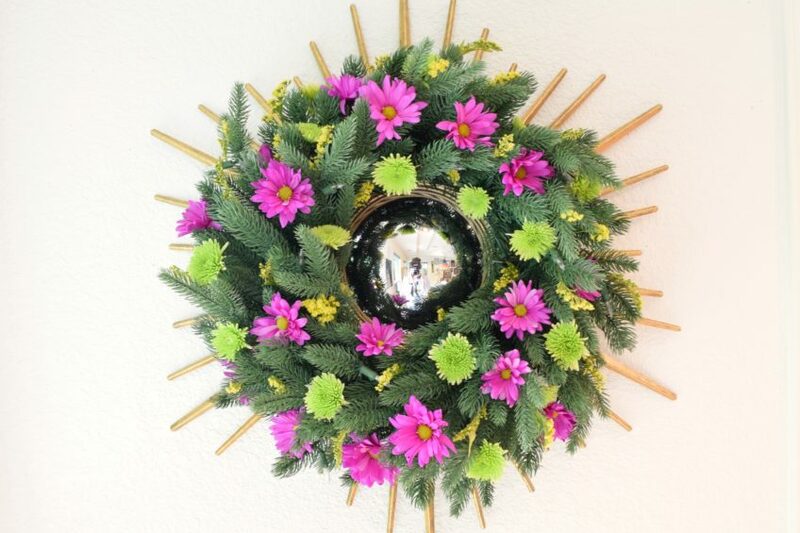 When Treetopia tasked me with spicing up their Addison Spruce Wreath I knew exactly what I wanted to create. 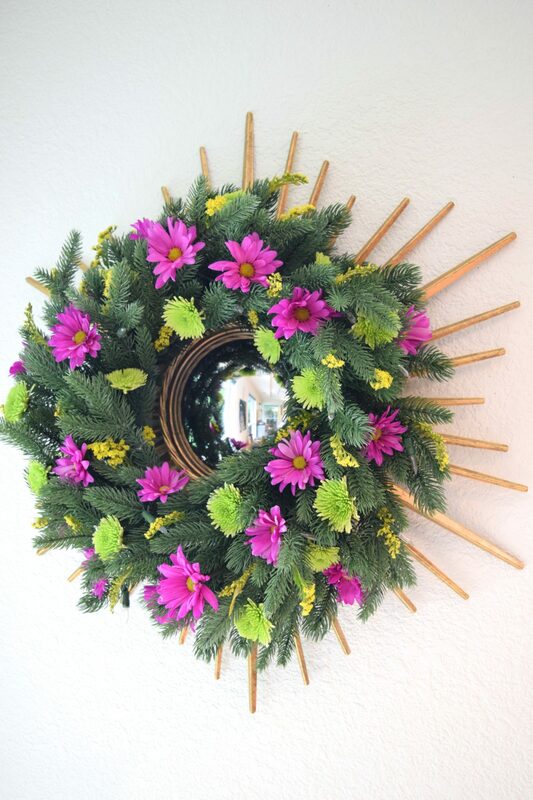 Inspired by Christmas trees from Martha Stewart and Design Love Fest I decided to spice up my spring wreath with living flowers. I threw in a starburst mirror too for good measure. Pop over to the Treetopia blog for all the details about how I’m keeping these blooms blooming and more. Posted April 22, 2016 & filed under Crafts, Home Décor Crafts.